(White Baneberry (Actaea pachypoda) - 01a) In this photo we have a closer look at the white baneberry flower cluster and relatively thick stem. 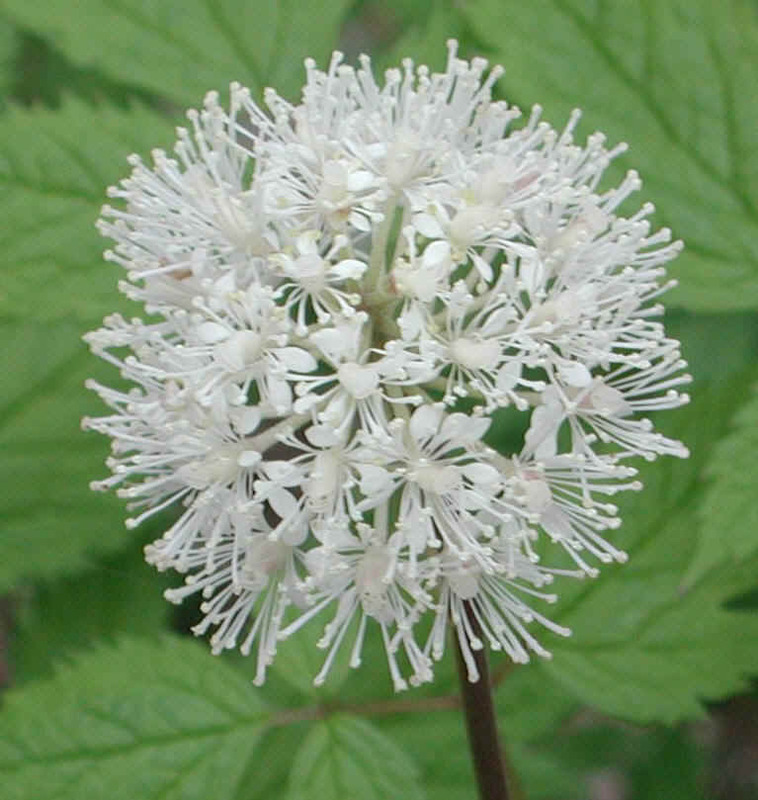 White baneberry bloom from May to June. The 4-5 sepals fall off as the flower opens, and the petals are very small. 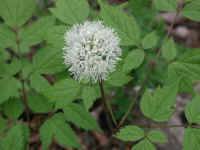 Each flower has one pistil and as many as 20 or more stamens, which give the flower cluster its fuzzy appearance.